Hi everyone, I hope you all had a wonderful Thanksgiving if you're here in the U.S. So it's time to start breaking out all things Christmas. 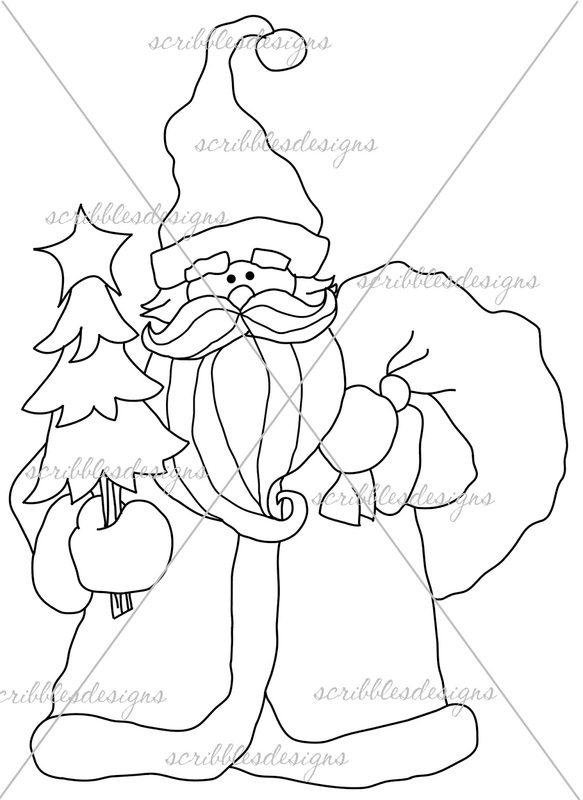 I'm absolutely loving this digital Woodland Santa image by Scribbles Designs. Isn't he gorgeous? I really wanted to color him in non-traditional colors, so I chose a rich purple. For my sentiment, I added this gorgeous new Believe die by SimonSaysStamp. I'll link all the product I used below. Thanks so much for stopping, check out this digi and many more over at Scribbles Designs! Ok, so this one was a little bit more challenging, lots of snipping to piece all these bits of paper. But, it's all fun and seeing the results, I'm quite pleased! Hi everyone, popping on with a quick card that I made using this beautiful "Give Thanks" die by Gina Marie Designs that I picked up in the Kat Scrappiness shop. I recently purchased this used stamp set by Stampin Up from someone. I thought the leaves were so gorgeous! I stamped them out on Bristol Watercolor paper and colored them with distress inks of various fall colors. Once dry, I mounted on copper glitter paper and then gave this gorgeous die cut a prominent place on the card front. I cut it out in both cream and brown to accent it. Hi everyone, here today showing you a card I made with one of the new sentiment dies by Kat Scrappiness. She's got quite a few of these gorgeous brush script dies and I chose "Snowflake Kisses" to use on this card. Click Here to shop at Kat Scrappiness! I used her gorgeous stitched and layered Christmas tree die again, which I'm so fond of! I'll list all the product I used below to make this, thanks so much for stopping by today!! Hi everyone, I've got some fun news! I'm guesting over at Scribbles Designs for the next two months. I love working with digis, so getting to work with this great group has really made me happy! 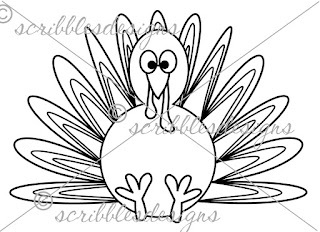 I chose to work with the #518 Turkey image and I've linked it below, just click on the pic of the turkey and you will be able to order this for your Thanksgiving projects! I'm listing the other project below, which I used to make this card. There's a fun challenge going on right now over at Scribbles Designs, Challenge #47 Happy Holidays, check it out! Hello everyone, I'm here today with Kat Scrappiness sharing a card I made using some fun products from their shop. Hi everyone, happy November. Wow, I cannot believe we've sped through 2016 as quickly as we have. So down here in South Carolina, it's still summer, but I'm pretending that it's fall. I so badly miss the gorgeous colors of the north during this season. So today I've got some new products to show you that are in the Kat Scrappiness shop, here's a link if you'd like to pop over there and do a little shopping! If you haven't tried #GinaMarieDesigns dies, both the Slash Stitch and these Patterned Pumpkins are some of new my favs. Kat carries a large selection of Gina's dies, so make sure to check that out. I'm very happy to finally have a nice Thanksgiving sentiments stamp set, these stamp so lovely. And, you really need to try these Fabrika enamel, glass and glitter drops. Kat has a hard time keeping them stocked, they just fly off the shelf. I love how they keep their shape and dry super hard. No more smooshed dots! I've linked the products used below! Thanks for stopping by today, I hope you've enjoyed my harvest/fall project! Off White cardstock base cut 5.5"x5.5"